From seeing historical remains of St. Peter church, to swiming on the island Škojić and at the end, relaxing in the healing mud bath. 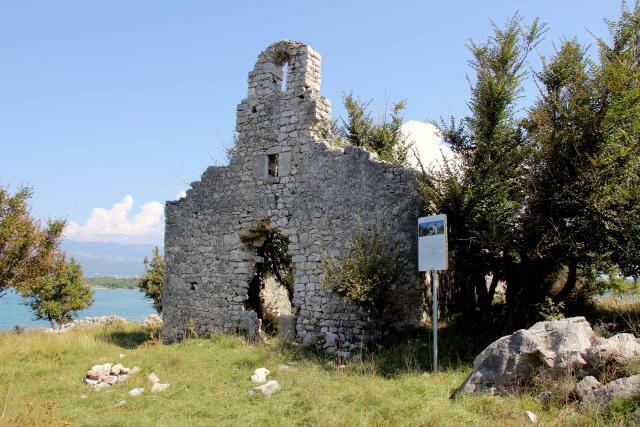 From seeing historical remains of St. Peters church, to swimming to the islet Škojić , and at the end – a healing mud bath. All of this you can do in Soline bay. Soline bay has many interesting and historical stories in which, with just a bit of imagination we can find ourselves, while we are walking through this authentic landscape. One of the extinct or we can say abandoned villages, in the first decade of the last century in the region Dobrinj, is the small village called Šugare, which is located near the village of Rudine, but still belongs under the area where Soline Bay is located. Tomaž and I decided to find the remains of the St. Peter church, so we followed the map. Soon from the road we noticed a sign. We stopped our car and left it by the road next to the shepherd’s fence, through which we went towards the coast. The route was surrounded by different trees and low vegetation. On the left and the right side we noticed a few items that were there to catch the rain for thirty goats or sheep, which we did not see in person but knew they were there by the traces of their maneuver. After a few meters we arrived to the coastline and walked by the nice little bay. On the right side we saw the church of st. Peter or what it was left from it. This church is dedicated to Saint Peter, which would protect the keys of heaven. They say that part of the heaven, is present right here in this place, where the authentic Uvala Soline stand the remains of this medieval chapel. 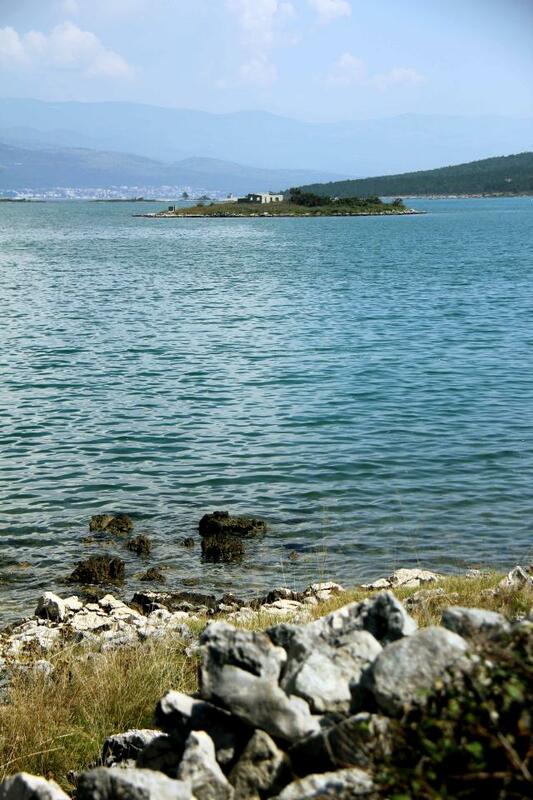 When we walked behind the church on the other side of the bay, in front of us there was the islet Škojić. Even though it was small, it radiated some kind of charisma, which got our attention and made us swim on the islet with this big ruin building in the middle. While swimming we were guessing, how many meters the islet Škojić was away from the mainland, our reviews were verified with the end result which was 450 meters. When we reached the islet the ruins of the old building and actually everything around it was covered in big thorns and mighty barbed vegetation, so we did not stay long on the islet but headed back almost instantly. As you can see on the pictures, also Tomaž and me tried out the healing bud and experienced this interesting Soline bay, which I warmly recommend you to visit.